Elaine Kasket, Psy.D., is a Counselling Psychologist, speaker and writer who has studied the juxtaposition of death and the digital since 2006. She has contributed to multiple stories on this topic in TV, radio, print and online media, to include pieces for the BBC, Radio 4, Channel 4 News, the Canadian Broadcasting Company, and Psychology Today. 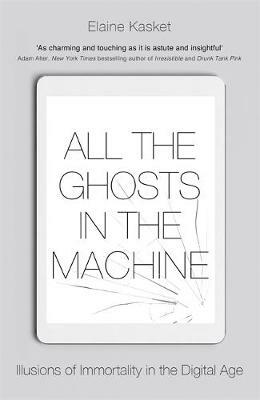 All the Ghosts in the Machine is her first book for general audiences, following a decade of more academic writing on the subject. Originally from the U.S., Elaine now lives with her family in London, where she produces the Mortified stage show, acts as the Bereavement Lead for the Digital Legacy Association, and maintains a busy psychotherapy practice.